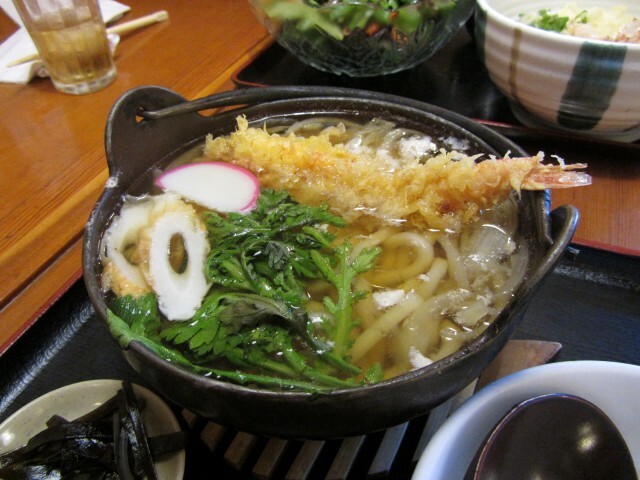 Kotohira’s udon is made on-site. I order Nabeyaki Udon, with shrimp tempura, chicken, shiitake mushrooms, greens, an egg and kamaboko, a slice of fish cake that my friend refers to as fish bologna. I love that it is de regeur to slurp your noodles, but I have to admit I have left more than once with a stippling of teensy burns across my chest from the spattering hot broth. So worth it. One of the best dishes of the evening at Katsuya-Izakaya, in fact, one of the best dishes of the year, was the halibut cheeks. We didn’t know what to expect, but they arrived battered and deep-fried, like the finest of fish and chips.